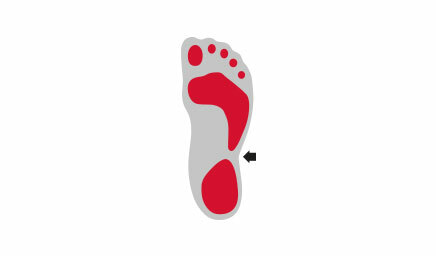 Splay-foot causes the transverse arch in the front part of the foot to flatten. 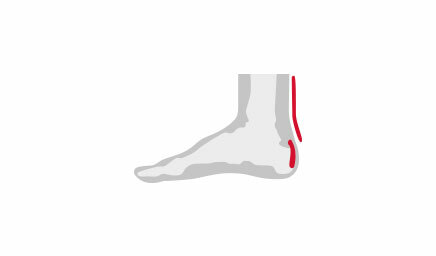 As a result, the metatarsal and tarsal bones spread too far apart and are not parallel to one another, but rather spread in an outwardly direction. The muscles in the feet are weakened. In addition, the feet buckle sideways over time. The forefoot is therefore significantly widened. 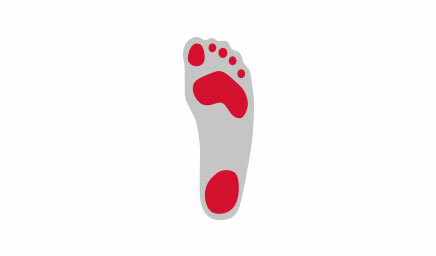 The foot is more widely spread at the front compared to a healthy foot. You will notice this by pain arising when the feet are exerted (the pain subsides when resting) and by shoes which have been a good fit previously starting to feel tighter in the forefront area. This abnormal posture affects your entire gait in more pronounced cases, and can therefore cause problems such as knee pain or knee arthritis. A splay-foot is rarely inborn. In most cases, it is caused by overburdening your feet occurring over years or decades. 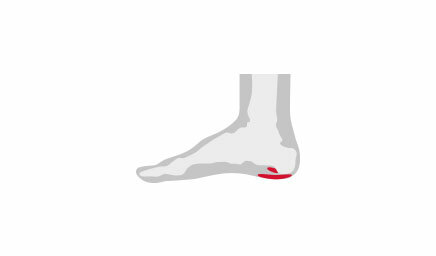 Unlike flat foot and fallen arches, it is not the lack of movement which is the cause, but usually incorrect footwear. Above all, shoes with high heels (high heels, pumps, stilettos, wedges, shoes with a wedge heel). When wearing high heeled shoes, the strain on the forefoot is five times as high as it would be usually (see here). On top of this, women also have a genetic predisposition in that their connective tissue and tendons are weaker compared to men’s, which is why splay-foot is more common amongst women than men. 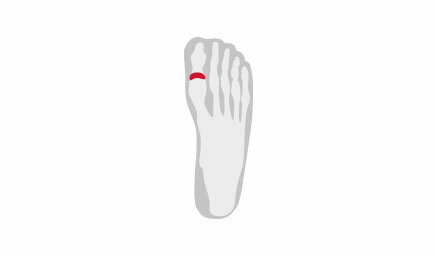 Often, people with splay-foot do not roll their feet over their big toes as they should do (or “push off”), but over the edge of the outer foot. The reason for this “incorrect rolling behaviour” is often down to incorrect or improperly fitting footwear. If the shoes are too hard, too tight and too inflexible, the freedom of movement of the foot becomes severely limited. This, of course, means that the feet are unable to roll naturally. This causes deterioration of the foot muscles which are purposely made for this rolling motion. The wearer compensates for this by carrying out the movement rolling incorrectly on the outside of the foot, leading to the foot muscles becoming weaker and weaker – this creates a vicious cycle. The best precaution against splay-foot is to wear high heels as little as possible and to instead resort to healthy and comfortable footwear that supports the rolling motion of the foot. Comfortable footwear doesn’t have to be unfashionable. Quite the contrary. We take care of this here at Sioux with our collection. In any case, it is important to have a flexible sole – you should also make sure of this. Many people confuse the softness of the shoe with the flexibility of the sole. The flexibility of the sole can be checked by taking the shoe and moving the tip and heel towards one another. 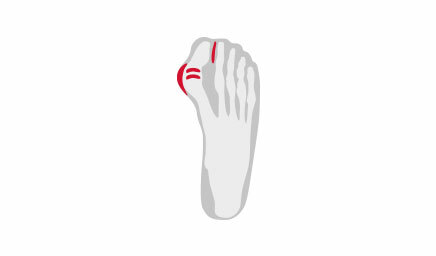 If the toe and heel of the shoe move towards one another at the front and the soles form into a U or V shape (i.e. if the tip of the shoe can be moved to the same level as the front part of the laces, then the shoes have exemplary flexibility). We would like to add that this is the case with most Sioux shoes. The only exceptions to this are a few special Sioux designs where this is not structurally possible (such as men's business shoes with full-grain leather soles). Our moccasins, Grashoppers and, of course, our trainers all easily pass this "bending test". This equates to around 70 to 80% of our collections. Moreover, most of our shoes have a detachable insole which you can remove and easily replace with your own. Pronounced splay-foot is not easy to reverse. A good place to start for therapeutic relief from splay-foot are insoles, which can be prescribed by your orthopaedist and are manufactured by medical companies. But an insole can only treat the symptoms. 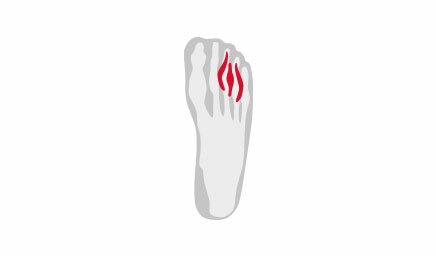 The splay-foot itself will not improve due to insoles. Targeted physiotherapy exercises are required for this, such as so-called spiral therapy, amongst other things. Use this search term to find the appropriate tutorials on YouTube. You will be amazed: the exercises are not difficult. For people who have a splay-foot, the most important aspect when buying shoes is to ensure that the shoes are broad or extra wide in order to ensure that feet are not cramped. 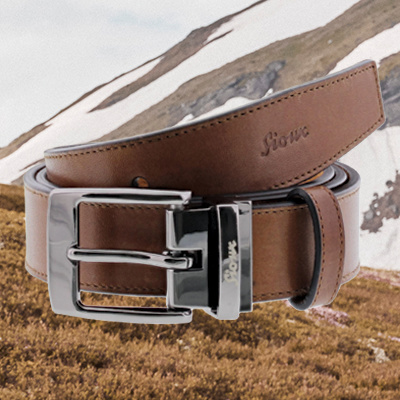 Sioux has various widths in its collections. Shoe widths are categorized according to the letters of the alphabet. F is the narrowest width, whereas H or K represents the broadest fitting. For people displaying symptoms of a splay-foot, shoes in a H-width fitting are often a must. But don’t worry: extra-wide fitting shoes in the Sioux collections are still on-trend and attractive. As a manufacturer of shoes with many years of experience behind us, we have several ways of making a shoe look less wide than it actually is, even though it still offers a perfect fit.